Today is Bolzano (Bozen) part of Italy, capital of Südtirol (South Tyrol or “Alto Adige” in italian), an autonomous province in North Italy. 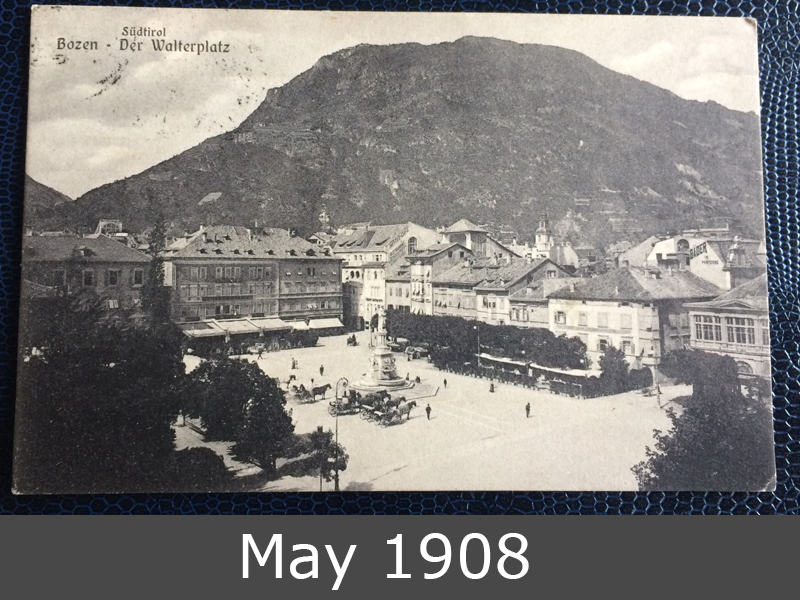 In year 1908 it was part of the Austrian Empire. 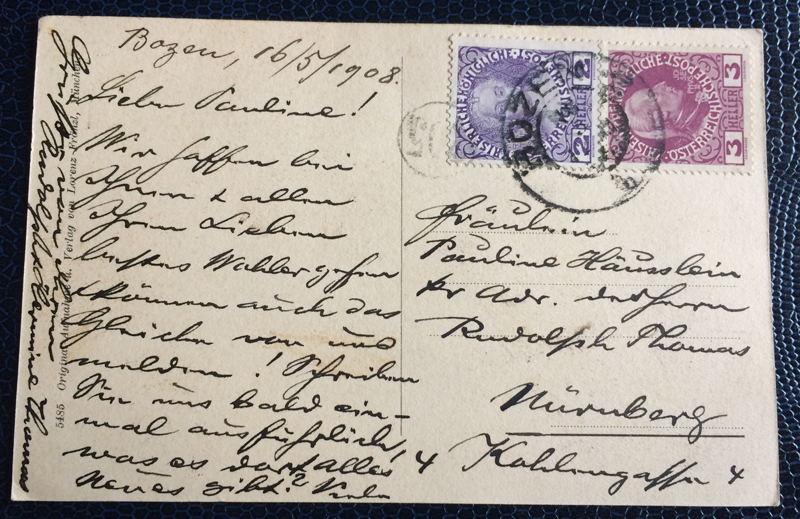 You see the Walterplatz of Bolzano on this postcard. It was adressed to Nuremberg, Germany.